This particular topic is close to my own research concerning architectural forms and settlement pattern evolution from the medieval to the post-medieval period, while I am also interested in the protection and conservation of cultural heritage. 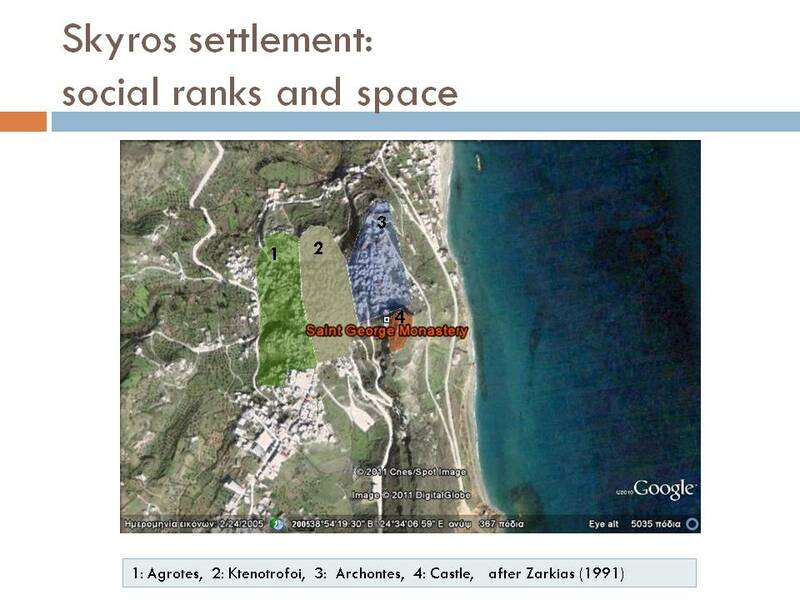 In this short-termed ethnographic research at Skyros island, I focused to the everyday material culture and housing. Given the background in conservation studies, questions for the field work have organized in four levels. 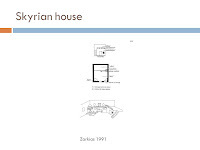 In the first level are discussed issues of values that are expressed by the collection, maintenance, conservation of old furniture and generally items of everyday materials; second level has to do with authenticity of these items and the third one refers to types of objects and their origins that are presented. The fourth level deals with the locals’ views concerning Faltaits museum. Fifteen samples have been visited, comprising of ten old refurbished or entirely new houses, a workshop, a bar, two hotels and a local museum. The lack of time restricted the potentials for more comprehensive research. 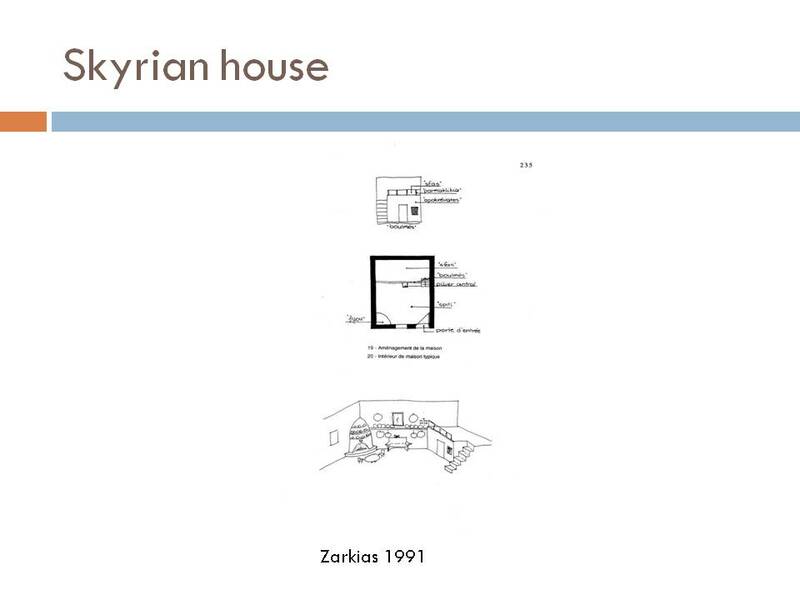 Initially I have to come through the outcomes of the research which revealed that the type of skyrian house as it has been already published (Zarkias 1991) is a single spaced edifice where gradually annexed new ones forming thus a building complex. The interior was divided into two parts, a large space for various uses and a part covered with a loft (s’fas). Under the loft was the kitchen and on the loft the whole family slept. Buildings were constructed from double stonework, filled in with rubbles and mood mortar, while the ceiling was wooden, covered with brushwood, seaweed and finally a special pressed waterproof blue soil. The settlement pattern has been organized in order to take benefit from the contours, in successive lines. The upper part was the part that archontes (nobles) lived, the elite part. Ktenotrofoi (breeders) lived in the middle part while agrotes (farmers) in the lower one. Building space was defined by numerous churches. Types of objects are wooden furniture, ceramics of various sizes, bronze utensils, and embroideries. The locals were not used to present embroideries in their home walls till recently because these objects were deemed as very important and were kept locked in wooden boxes (mpaoula), only to be used during the wedding ceremony. Even now the best items form part of the dowry and are presented only for special occasions. The values that were expressed from the local people concern historic (memory) and economic ones. As for authenticity, people deem that objects keep their authenticity, either the old ones or the new that are now produced. Concerning buildings, despite the usage of concrete instead of wood in ceilings and s’fas (loft) in local people mind it is reminiscent of the old ones. However they admit that the old materials and building techniques bear better characteristics especially referring to thermal conduction of the ceiling, but they had to use concrete because it was an easy solution. As for the origins of objects, they obtained them mainly from dowries, (the better pottery and embroideries still were given as dowries), or inherited from their grandmothers. 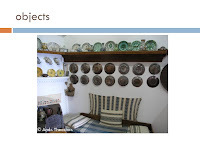 Otherwise were bought items from local workshops, especially referring to new pottery, furniture and embroideries which were copies of old ones, imitating embroidery patterns. Old pottery also provides patterns for imitation. Some of the embroidery patterns were provided by Faltaits museum, while the museum is selling various products that are concerned with the local tradition. Locals’ comments for Faltaits museum bear a dispute because many people concern this as a problematic issue of the skyrian society, especially referring to the proccedure of the collection of traditional materials. In general, I have observed that people who involved with trade of traditional items thought that Faltaits took personal benefit from collected materials. On the contrary, people that are not dealing with the commercialization of heritage have definitely a positive view for the museum and Faltaits himself. These few days in Skyros revealed new ways of research approaches concerning both natural and manmade environment, especially in terms of housing and material culture in insular context. During this research I met interesting people and visited picturesque places. I have thus the motivation to visit again the island. Moreover, given the dynamic changes that have been occurred during the previous twenty years and still going on, the preservation of cultural heritage is deemed as very important. 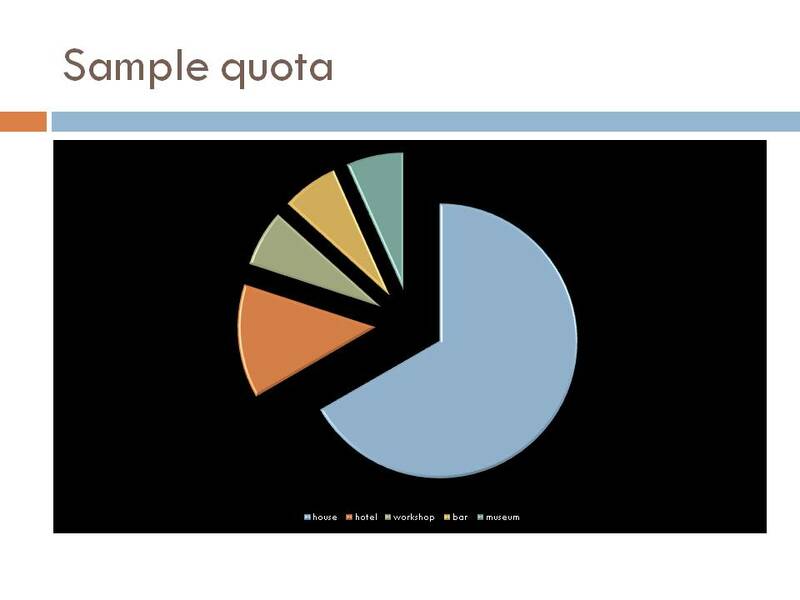 Especially referring to old artisans and their know-how that forms an intangible heritage asset, it could be proposed the organization of a workshop for the spread of traditional techniques. 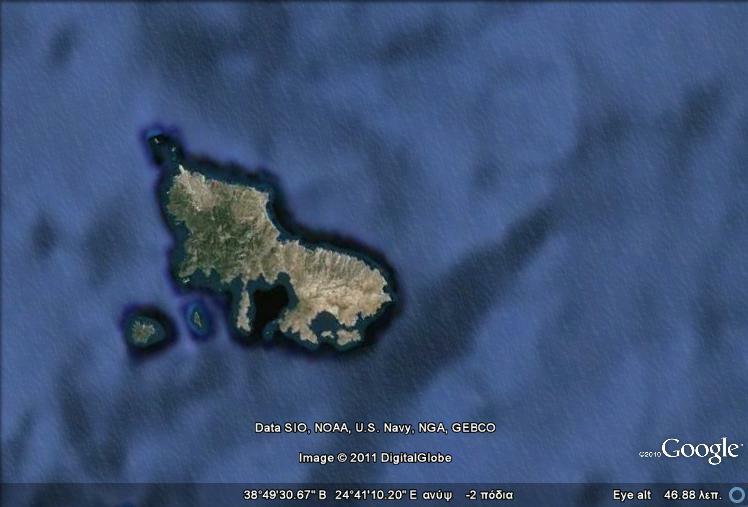 Finally I would suggest that instead of becoming a huge wind turbine site, the entire island could be organized as an ecomuseum. As such, local people could have the opportunity to manage efficiently their heritage and offer educational and touristic approaches in a sustainable development framework, customized to the specific needs of the Skyrian society. 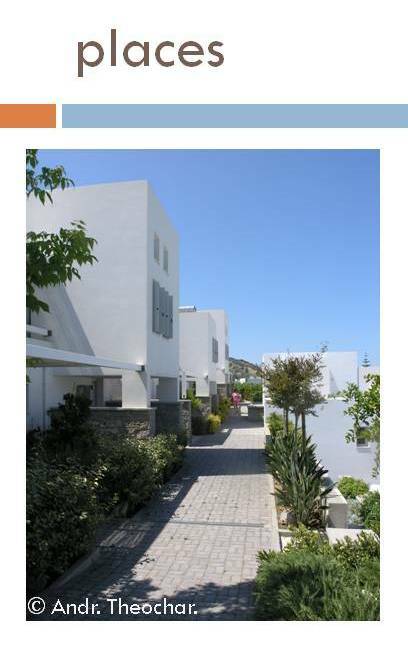 *this article formed part of an oral presentation held at NIA (Netherlands Institute Athens) after a summer seminar at Skyros island which was organized by the University of Amsterdam and NIA. Zarkias, K. (1991). Societe et espace dans l'ile de Skyros, Ecole des Hautes Etudes en Sciences Sociales (EHESS).